Holy cow. I was stunned this morning to find SY listed as the number one new release on amazon.com in teen books! 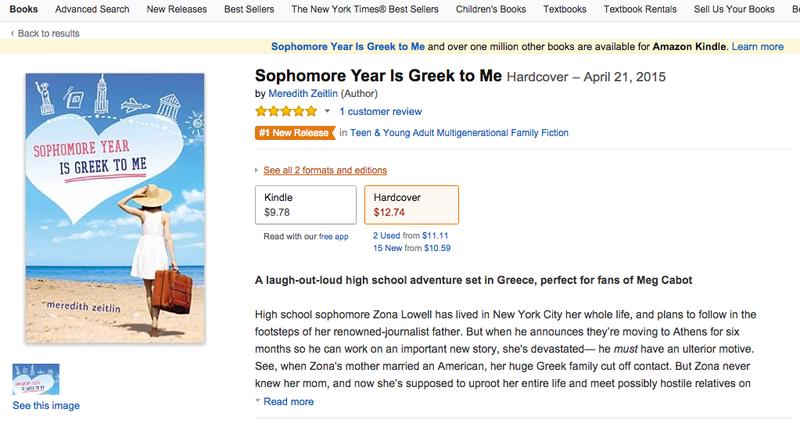 What an amazing book birthday for Zona and her friends!!! Here’s a screenshot that you can barely see because I can’t figure out how to make it bigger with it getting all fuzzy! YAY!